Living Area 3,487 Sq. ft. 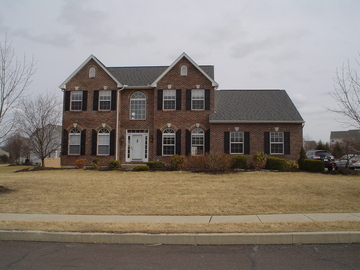 Located in one of New Britain Township's most sought after communities sits this spectacular brick front estate home. This is the first time a five bedroom home has been offered in the Crescent Drive community. Enter from your flagstone walkway to a soaring two story foyer w/ hardwood. 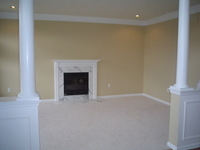 To the left is a formal living room with fireplace, crown moulding, and wood columns. 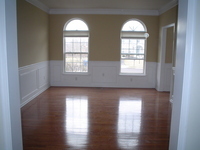 To the right is a formal dining room with shadow box moulding. 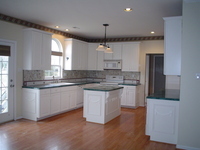 The kitchen boasts a large breakfast area, island, and rear yard access. 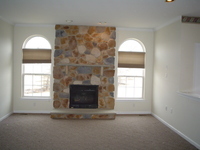 The family room features a floor to ceiling stone fireplace. The fifth bedroom w/ full bath could also be a comfortable home office or library instead. The second floor offers a Master Suite w/ vaulted ceilings, large walk-in closet w/ built-ins and opulent bath. Bedrooms 2,3,4 are bright and airy. The lower level offers a full basement with extra height ceilings and rough plumbing. Only your personal design and finishing touch are needed for future enjoyment. Bank owned and aggresively priced for quick sale! Bank Owned. Sold "As Is". Seller will provide required U & O Certificate and 1 Year Home Warranty!